There’s something very humbling about baking a loaf of bread out of 3 ingredients: good flour, water and salt. Ever since I went on the Bread Ahead course, I have stopped buying bread and have been making my own. My sourdough starter seems to be working and attempts at both rye and standard sourdough bread have both been successful. It may take up to 3 days, but only a short bit of weighing and mixing over each of those days and there you have it. 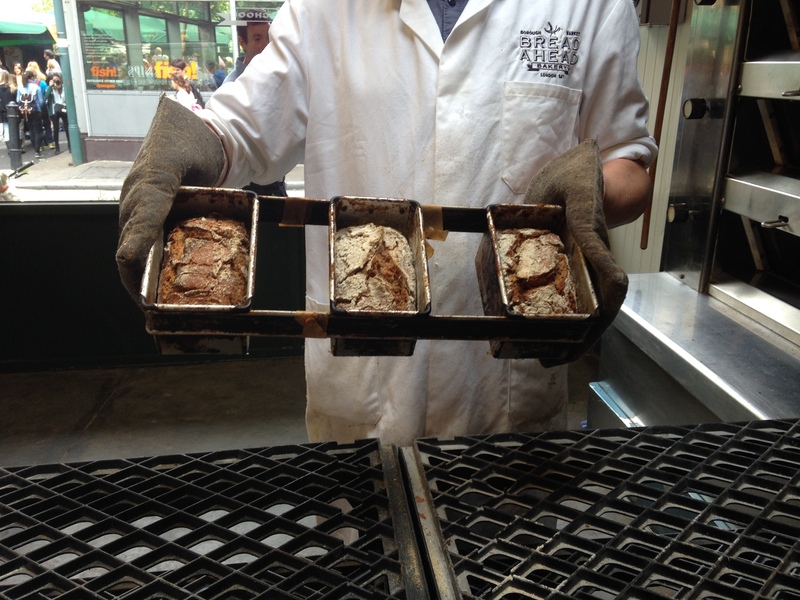 Three ingredients, three days to prepare and your very own baked loaf. Amazing. My loaves last me a good couple of weeks. It was recommended you wrap in parchment and keep in a sealed box which is absolutely what I do to great effect. I cut as I go and as the bread changes, opt for toasting. It’s an easy way to transport breakfast to work with two slices embracing whatever I add… and also I am really enjoying the 100% rye simply with Hummus for lunch. 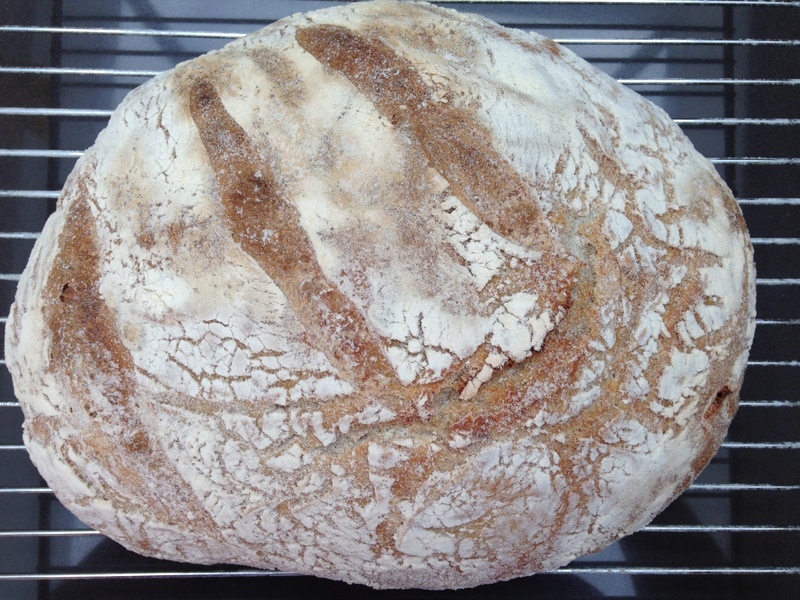 This weekend I had the joy of that first crust, cut when the loaf is still warm to unveil the bubbly doughy inside. Toast toppings are one of the most versatile ways to create an easy meal. My Mum loves her sardines and Dad loves scrambled egg on top of his toast (I am an on the side person for this). I love recreating the Skagen we had in Stockholm with small prawns, mayo, creme fraiche, dill and a touch of lemon. But perhaps the most interesting of our family secrets for toast and the one I will share with you today goes to a pimped up tuna melt that we discovered through an old US friend. They may sound like a weird combo of ingredients, but trust me. The water chestnuts add crunch, the curry powder warmth and whilst it may be frowned upon to combine cheese with fish, the resultant texture and flavour is yummy. Serve on bruschetta for a pre dinner snack, as a hearty lunch on toast or on jacket potatoes for dinner. 5. Grill until bubbling, brown and delicious. Serve! I went on a bread making course this week. It is always difficult with courses to know which one to choose. Some years ago I tried to get to Richard Bertinet but the truth is that whilst he is such a well known baker, he is also incredibly expensive. Instead I got a voucher to do the course at Paul which was more demonstration than course and focused on French bakery. I was compelled to try again this time because of all the recent press about smiley baker Justin Gellatly and his relatively new business. 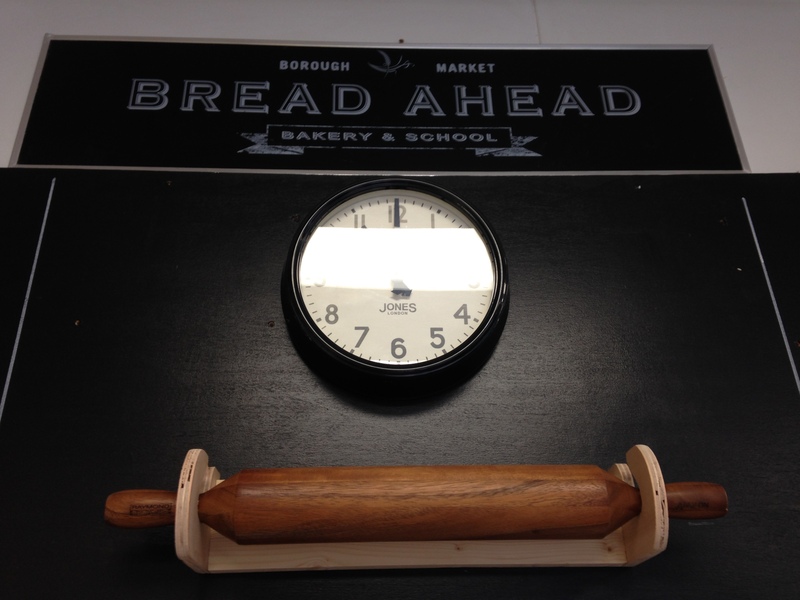 Created just under a year ago, Bread Ahead is a collaboration between Justin, who was previously head baker at St John bakery, and Matt Jones, who set up Flour Power and is a great baker in his own right. I’m not sure what the right term is to describe two bakers at the top of their game pairing up but certainly the outcome is something special. 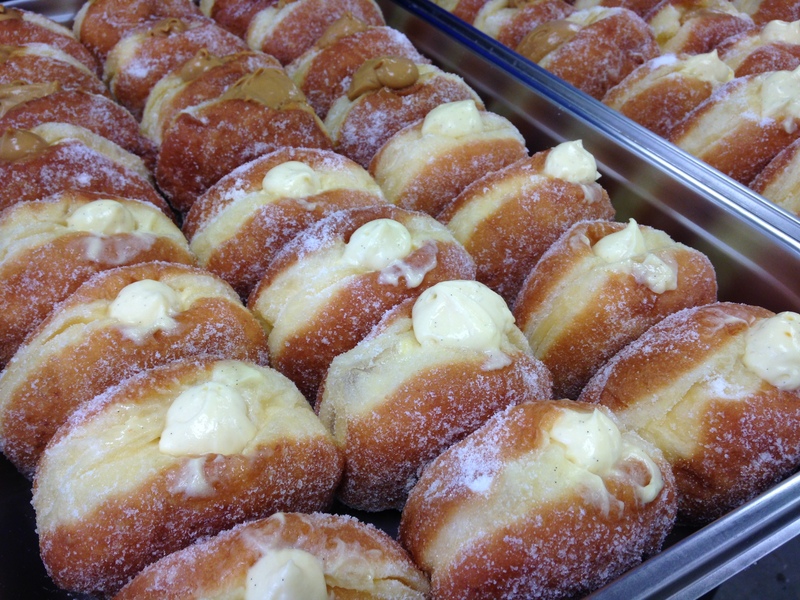 They are taking over the restaurant and market scenes with their breads and have become part of the London food culture with their doughnuts which are out of this world. I’m sure if we Brits were more American in our attitude then these would receive the same notoriety as the cronut. But that’s just not our style. Having completed the course I can now say that it was a really great choice and delivered just what I wanted. 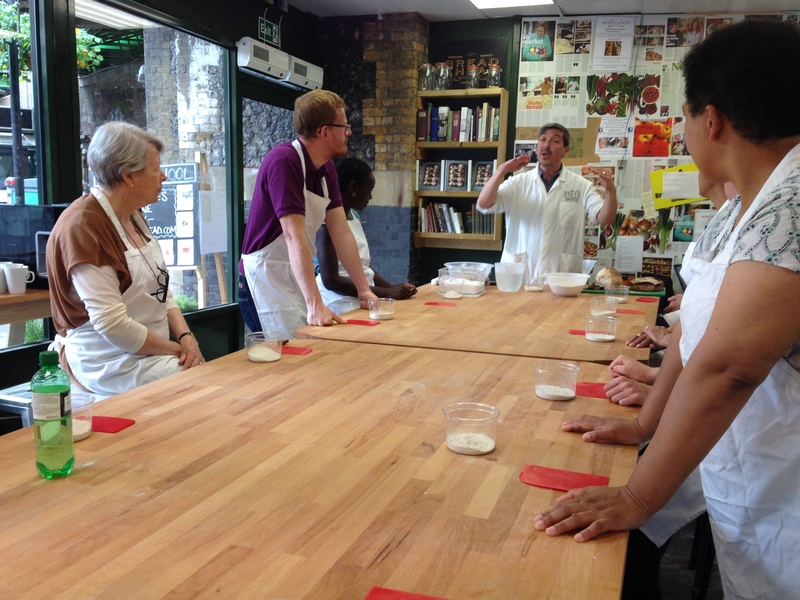 I attended the Introduction to Sourdough course in their bakery school and it really did make a grand introduction. The course was taken by the lovely Aiden Chapman who had just the right passion and knowledge balance. There was much talk of bread and the current issues with gluten that seem to have become trendy these days. Aiden’s view reflected mine believing that a lot of this is not genuine gluten allergy rather a fashion to find a flat stomach. In reality, we have been making bread since prehistoric times and when replicating those methods there is a lot of good to be taken from it. 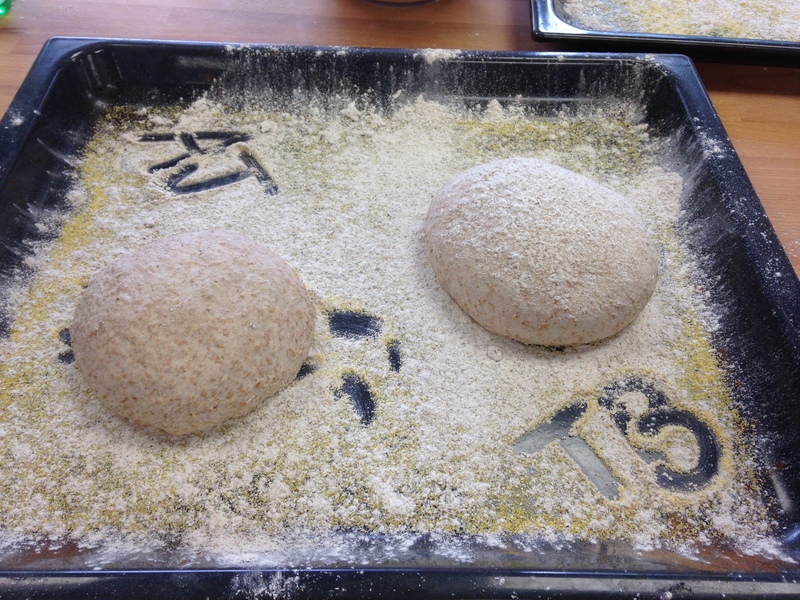 Using stoneground flour and a wild yeast starter, Aiden argues that this bread actually enhances the bodies ability to digest rather than the opposite. In fact he told us that there are studies going on in the USA which show coeliacs are able to eat bread made this way without any issues. It’s really only in the last 50 odd years since the Chorleywood method was developed to industrialise production that things went horribly wrong. Nowadays the majority of people think of that as bread but it is a woeful comparison to the real thing. We started our course creating our own wild yeast starter which we were encouraged to name, as apparently that helps you look after it more. 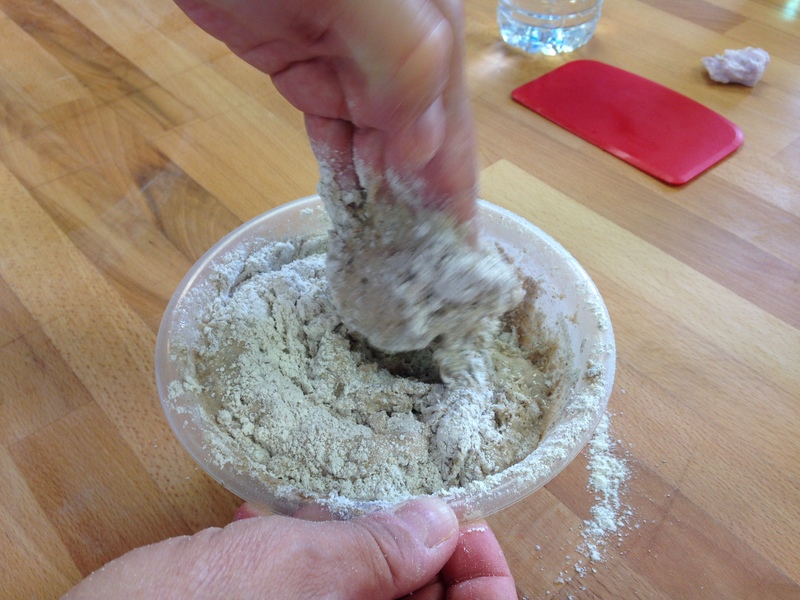 The Bread Ahead starter that Justin created was blessed by the Canon of Southwark Cathedral and certainly makes an impressive loaf, with or without spiritual help. Harry, as I named mine, is still going strong as I follow my instructions to feed him over 5 days for the ideal base. Given that it takes so long, we were able to cheat and have the hallowed one for our course purposes. 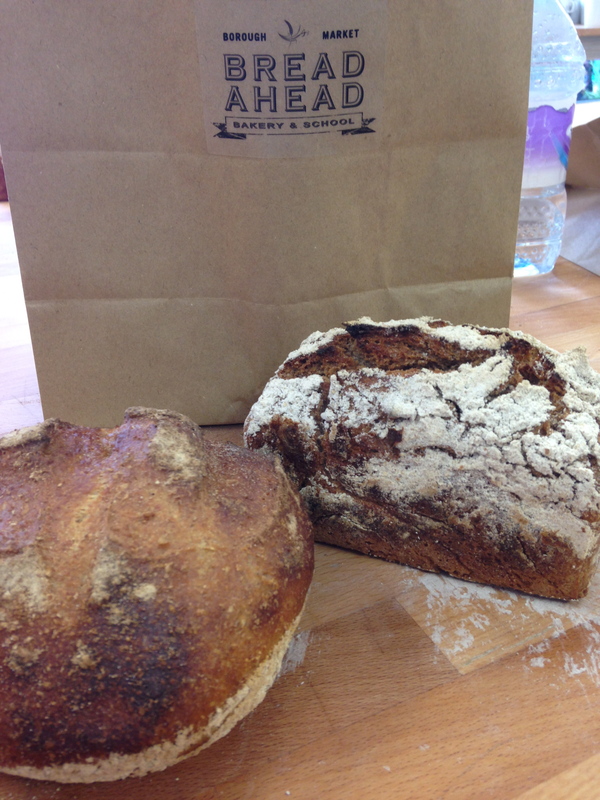 We went on to learn about 3 different breads: rye bread, levain, and the no knead method. The process is such a wonderful nod to the artisan craft and yet it was very simple. None of that over the top hurling and kneading thing going on, just a respectful mix of the classic ingredients: great flour, cold water (always cold), the starter and salt. Simples. 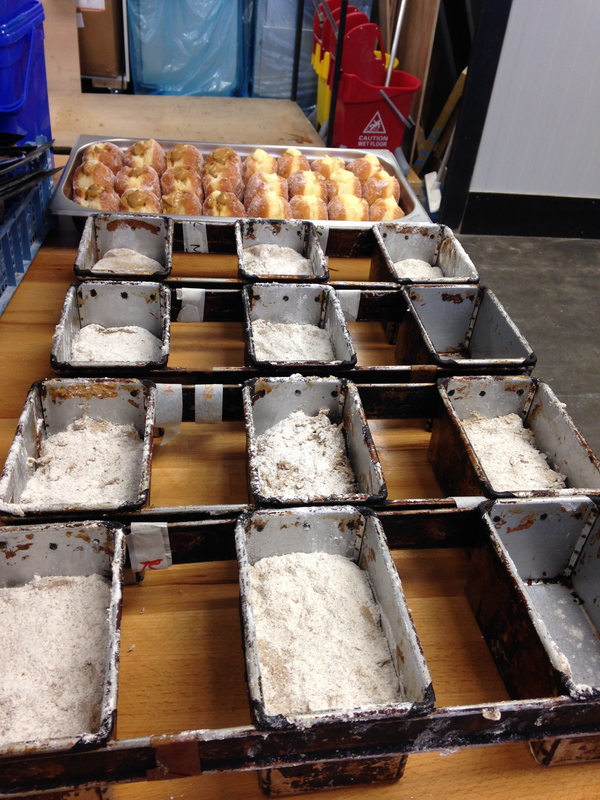 There were easy tips on how to bake at just the right temperature and how to replicate the professional steam that is created in the industrial ovens. All very practical. The result was amazing. Mr Jones and I both turned out two yummy loaves that outshone the effort that we had to put in and have been a superb addition to the weekend catering. Harry is well on his way too, so next weekend, it will be a chance to try again and see if what we learnt can be replicated at home. Let’s see.